Roanoke Times,5-31-2013, Pg 4: News executives meet with attorney general. This meeting was relative to the Obama-Holder Justice Dept. getting the personal communication records of AP and Fox reporters, their offices and a reporters’ parents. This was a secret closed-door off-the-record meeting with a few news executives who agreed to attend under these obnoxious conditions. Pravda editors would certainly have agreed to attend also. Why can’t the RT and their associates present a correct, fair and balanced story? There’s a new owner and management team for the Roanoke Times today. Debbie’s out and now there’s perhaps an opportunity for positive change and focus. One has to assume that most of the RT staff really wishes to do a proper journalism job, if given the proper environment. I certainly hope so! The RT has greatly increased their tirades against Republican Governor Candidate Ken Cuccinelli over the past three months; however, Democrat Candidate Terry McAuliffe skates along unscathed. Part of the RT’s electioneering on McAuliffe’s behalf has focused on a series of pro-AGW Global Warming Alarmists cartoons and articles and featured-LTE’s, totally in sync with McAuliffe’s campaign positions. Roanoke Times, 5-26-2013, Pg 5: Can Tangier Island be saved? Wow, big hurricane in 1929 – how much man-made CO2 was around back then? 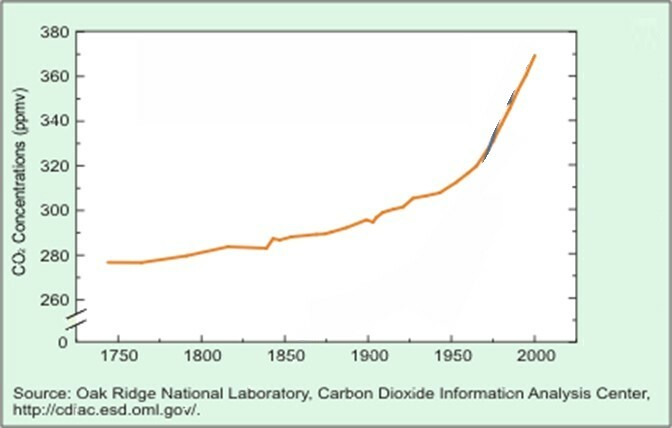 Interesting: no significant CO2 ! Apparently mother-nature has provided lots of rough variable temperature and weather before man-made CO2! And what about the oceans rising? That’s also been going on for a very long time – in fact – 16,000 years ago the ocean was 400 feet below today and the Outer Banks was 50 miles East at the continential shelf. Talk about rising water! 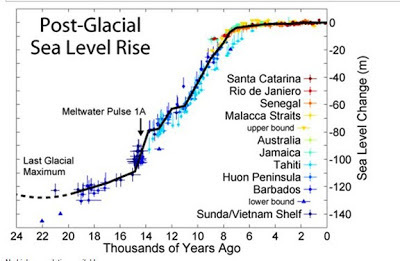 Isn’t it interesting that the Alarmists never present any historical data to put today’s incidents in perspective. It’s as if there isn’t any history of storms, heat waves, tornados, hurricanes, or hot and cold weather variations. 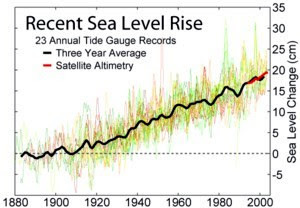 Temperature records are interesting because thermometers were first used circa 1890, about the time my parents were born; hardly a significant sample of earth’s history and significant variability. The editors of the Roanoke Times and many of their liberal associates have difficulty in distinguishing between balanced reporting of stories and being the advocate and media outlet for special liberal interests. The following story, in addition to the other 2000 items in this blog, is yet another example. The BIG cartoon in this article shows Alarmists scientists muzzled by special interests. That’s very interesting given that the RT publishes a never-ending steady stream of pro-AGW articles and LTE’s while minimizing and marginalizing those who question and challenge that hypothesis and its draconian appendages. Even a cursory following of this ongoing conflict between Alarmists and Skeptics clearly demonstrates that Alarmists have the total and complete coverage and support by the liberal media, the Obama Administration and thousands of persons receiving millions of tax dollars to “study” this subject from an Alarmists perspective. Unfortunately the current editors of the RT are totally incompatible with the views and values of Frank Batten Sr., the founder of the Roanoke Times, who believed and followed a policy of journalistic equity and fairness. Frank, where are you now that the RT needs you? The following blog items and references are a sample of data that clearly demonstrate that there are very valid reasons to question the AGW hypothesis and the Alarmist community who are continually being caught publishing wrong data and faulty conclusions and predictions and who hide their data from the public and substitute consensus for science. The Roanoke Times has published a series of very appropriate articles recognizing Memorial Day this year. The coverage has been particularly notable for it’s coverage of individuals who served in harms way on our behalf thereby making the stories very personal. Following are some appropriate references for this special day. The conductor of the orchestra is Andre Rieu from Holland. Melissa Venema, age 13, is the trumpet soloist. The Original version of Taps was called Last Post, and was written by Daniel Butterfield in 1801. It was rather lengthy and formal, as you will hear in this clip, so in 1862 it was shortened to 24 notes and re-named Taps. Melissa Venema is playing it on a trumpet whereby the original was played on a bugle. By Mike Ellerbrock, director of the Center for Economic Education at VT. This description of “freedom” is so removed from reality as to be incomprehensible. Apparently the author has not had access to a dictionary, world history, a thesaurus, nor has he ever read the preamble to the Declaration of Independence of the United States. Not since Orwell’s 1984 have I read such a line of DoubleSpeak! How sad is that? And he’s a director of Education at VT! In addition to the Tea Party bashing, and the Freedom-DoubleSpeak, the author maligns those who question the much discredited AGW hypothesis of massive global warming and climate change due to consumption of fossil fuels. The RT Editors support this article by including a BIG cartoon of an AGW “scientist” being muzzled by “vested interests”. That’s very interesting given that the RT publishes a never-ending steady stream of pro-AGW articles and LTE’s while minimizing and marginalizing those who question and challenge that hypothesis and its draconian appendages. Obama’s new word: “Self-radicalized” Terrorists. Given the concept of human “free-will” it appears that every person who strikes out against others must fit that description, unless they are programmed robots. Is this new category and terminology intended to somehow make us feel safer? Here in America our Radical Muslim Terrorist perpetrator of “WorkPlace Violence at Fort Hood is doing well. All this must be true – you couldn’t make this stuff up! Will help toward balancing the next budget. The woman who ran the Internal Revenue Service’s tax-exempt organizations division has been promoted, and now heads the agency’s health care office, ABC news reported. Sarah Hall Ingram was commissioner of the embattled IRS office from 2009 to 2012, roughly the period that the agency is accused of singling out tea party and conservative groups for extra scrutiny, based on nothing but their political bent. ObamaCare implementation is based on 16,000 new IRS agents who ostensibly are going to determine who is in compliance with the law and if not what penalties will be imposed on them. The administration has already issued numerous waivers from the law’s requirements and have refused to publish the who and why. Perhaps there’s a change blowing through the major liberal media. It appears the major news organizations have started to cover and focus on the Obama Administration’s malfeasance starting with the “Justice Dept” criminally investigating AP reporters. Something about biting the hand that feeds you. This has resulted in two interesting changes. The major media is now siding with FoxNews in condemning this unacceptable and perhaps illegal activity; and, they have now started to focus on the other major administration scandals, Benghazi and the IRS abusing Conservative groups. It’s clear that the administrations news briefings to reporters have taken a significant change from cordial socializing to direct questioning and some spokespersons now have greatly diminished creditability. All this will be done in careful moderation because the major media has an enormous stake in Obama’s success. They made him what he is through careful and persistent accenting the positive, minimizing the negative and attacking those who try to foster an alternative view. Even CNN’s Candy Crowley jumped into the Presidential debate to support “her guy” with statements that we now know are false. Discrediting some of Obama’s appointees may be acceptable; however, the media and the administration have thrown a blanket of “Plausible Deniability” around Obama to ensure his future viability. May 15th testimony to Congress “Under Oath” about the “Justice Dept” accusations of criminal conduct by members of the AP and FoxNews. “First of all you’ve got a long way to go to try to prosecute the press for publication of material. This has not fared well in American history… In regard to potential prosecution of the press for the disclosure of material. The Justice Department confirmed Friday the NBC report of the day before that Holder approved (signed) the Rosen search warrant application in 2009. Given this, it’s apparent that Holder lied to Congress on the 15th. It may also be that he lied to the judge. The DOJ’s statement in its search warrant application accusing Rosen of being an “aider, abettor, and/or co-conspirator” may very well have been a sham to get a judge to sign the search warrant. If that was the case, he also lied to the judge. 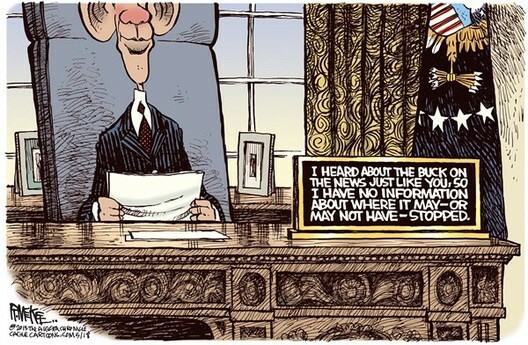 “I’ll have Holder look into it”! Apparently Obama (Our Plausible Deniability President) and his team are continuing to insult the intelligence of the American People with the able assistance of the liberal Pravda major media. How sad! Talk about changing the subject from the reality of massive Obama Administration malfeasance to a whole load of old heifer-dust! What about Obama's TriFecta From Hell? What about the slaughter in Syria? What about the Muslim Brotherhood taking over the middle-east? What about Al Qaeda throughout northern Africa? What about the economy, unemployment and $16 TRILLION in debt? What about nuclear weapons in the hands of Iran and North Korea? This is the hope and change people voted for “twice”? don't have to answer to anyone"! In 2011 his IRS minions launched a war against Republicans and Conservatives. Coincidence? You would have to be a potted-plant not to be capable of “connecting the dots”. USA Today: 5-15-2013, Pg 1: “IRS gave a pass to liberals while the Tea Party groups were mired in red tape”. 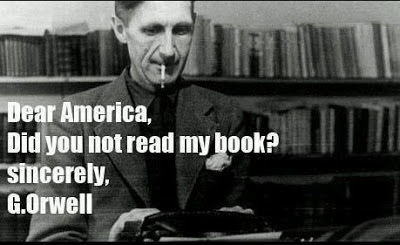 And throughout this criminal activity promoted by the highest levels of the US Government, Obama (The Plausible Deniability President) says he only knows what he reads in the news papers. 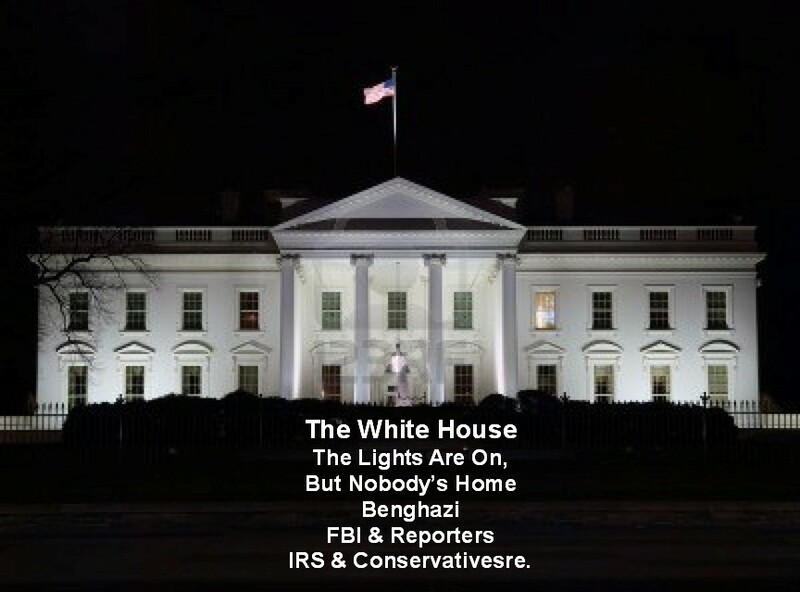 And Obama’s AG, Holder, is too busy investigating reporters to be bothered with major malfeasance and crimes within the Obama Administration. And through it all the Roanoke Times and their liberal media associates continue to marginalize and down-play the nature, extent and severity of the Obama team’s malfeasance and wrong-doings. No big editorials expressing righteous indignation here! Roanoke Times, 5-21-2013, Pg 5: Treasury secretary to “tap” retirement funds to cover debt. Treasury Sec. Lew: will begin “tapping” into two government employee retirement funds, the civil service retirement and disability fund and similar postal worker funds. We put Corporate CEO’s in jail for doing this! Our government has raided the Social Security “Trust” Funds by rolling that money into the general fund and then spending it while rolling up a $16 TRILLION debt, all the while Obama continues to say that we need to do more spending. Roanoke Times, 5-18-2013, Pg 6: Washington criticizes Russian weapons delivery to Assad in Syria. 5-20-2013, Pg 3: With Assad gaining on battlefield, US and Russia having harder time getting Assad to end the 26-month old conflict that has killed 70,000 Syrians. The May 18th article states that Russia is building up its fleet at a Syrian port and is giving Assad anti-ship and anti-aircraft missiles. Obama’s response: “It’s ill-timed and very unfortunate”. The May 20th article says the US and Russia are partners in stopping the Syrian bloodbath and getting Assad out of power. Talk about a disconnect and a charade! What’s wrong with our leaders and our media? There is no partnership with Russia! They are backing “Assad and we are standing by and watching mass murder. Yet another Obama Foreign Affairs major success as defined by the liberal media. May 5th Obama told the graduating students at Ohio State that their government was a wonderful force for good and that they should reject those who question and or criticize the government. - How can college graduates ignore the malfeasance of their leaders and their government? Roanoke Times, 5-14-2013, Pg 1, 5: Abortion doctor guilty in 4 deaths; Dr. Gosnell could get the death penalty of killing 3 babies and a “mother”. The major liberal media news coverage of this case has been almost nonexistent until the end. Wouldn’t want to upset the pro-abortion folks by casting a very dark long shadow upon the abortion business, particularly the late-term abortion processes. Although this horrible situation occurred in Pennsylvania, there is a major connect here in Virginia in which the legislature and AG and Governor implemented last year increased focus on abortion facilities specifications and inspections. This was met with hostile furry and condemnation by the liberal-media, so-called “Planned” Parenthood, NOW and NARAL. It’s now clear for all to see that major medical facilities including abortion facilities require oversight and inspections (much like our automobiles)! Disgusting byproducts of this situation are the statements of several pro-abortion organizations lying about Dr. Gosnell’s facility; this was not as they claim a back-alley coat-hanger chop-shop; this was an authorized and licensed Abortion Clinic that operated for many years without any oversight! Who is really waging a “War Against Women”? Especially the most vulnerable! Time for the Editors of The Roanoke Times and their pro-abortion friends to apologize to The Governor, The AG and to The Virginia Legislature! We’re waiting! There’s only one wheel left on the wagon! What’s next? --- January 1 -- ObamaCare Kicks-In! Justice Dept. 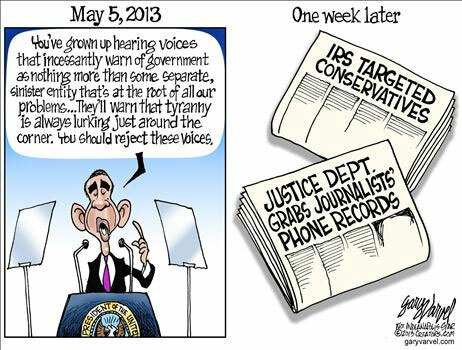 secretly phone-tapping the Associated Press (AP) is like the dog biting the hand that feeds it! AP has been in Obama’s back-pocket for over 5 years; covering for and alibis every major malfeasance he and his cronies have conducted starting back in Chicago. How’s Candy Crowley going to help-out this time? Is Eric Holder really that stupid? Apparently yes! Another Electronic Fast-and-Furious! How is the major-liberal-media going to handle this? How are the Editors of the Roanoke Times going to explain away that this is really nothing to be concerned about? 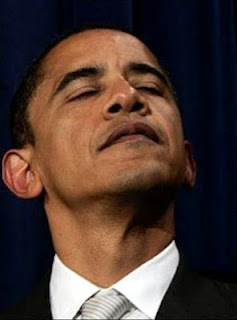 How about the Obama quotes: "This is all a side show" and "there's no there there"! At some point the American people and Obama’s Pravda Press are going to understand that you can take Obama out of Chicago, but you can’t take Chicago out of Obama! This is the Hope and Change The American people voted for twice? When a Pro basketball player announces he is a homosexual, he immediately gets a personal phone call from the President congratulating him for his courage. It's all about values, principles and morals! Where’s The Purple Hearts For Fort Hood Hero’s? Roanoke Times, 5-11-2013, Pg 4: IRS admits it targeted conservative groups. 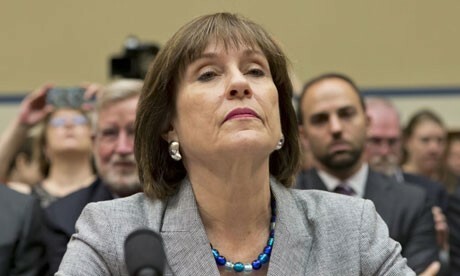 Lerner, the IRS mouthpiece said: it was incorrect and insensitive and inappropriate. No! That’s not it! It was ILLEGAL! And it is a violation of US citizen’s protections from the government under the First Amendment of the US Constitution! What incredible milk-toast coverage by AP and the RT! Where is the righteous indignation over this blatant political abuse by Obama’s minions? After two years of denying that they have targeted conservative political organizations for harassment, the IRS has now admitted they have targeted any organization that contains the words Patriot or Tea Party! This Obama administration has run amok and the major media not only stand by their redeemer but covers-up for their misdeeds at every opportunity. Can you media people say “PRAVDA”? Do you not know what your basic civic responsibilities are? Have you not claimed the title of “The 4th Estate”? Isn’t it interesting that a few years ago another mother who lost a son, Cindy Sheehan, was viewed as The Mother of the Year by the major media. But that was during George Bush’s term. Move along folks, nothing to see here now! Because it doesn't matter now! The 5-11-2013 pg. 3 article by the Roanoke Times via The AP is so pathetic that one cannot comment about it in a manner suitable for family viewing! May 10, 2013 was THE DAY the major media woke-up and smelled the Benghazi coffee after spending eight months at sleep with Rip Van Winkle trying hard to hear no evil, see no evil, speak no evil and print no evil in spite of FoxNews’ daily drum beats of ever increasing facts and reality. The Obama-Hillary Benghazi big-lie machine came apart at a special White House “off the record” séance that was orchestrated by Pat Carney, Obama’s equivalent of Saddam’s 'Comical Ali'. Jonathan Karl of ABC had administration Emails clearly showing twelve (12) iterations of “The Benghazi Talking Points” that were totally rewritten from the Intelligence Agency brief, that this was an Al Qaida led Radical Muslim Terrorist attack, morphing over 12 rewrites into the administration’s political position that it was all about a nasty video. Clearly this was intended to protect Obama’s reelection less than 4 weeks away. It was also nicely consistent with Obama’s past statements to the Muslims that America does bad things to them that result in bad outcomes (The Obama Apology Tour) and in spite of Candy Crawley, he didn't have to say Radical Muslim Terrorism. Click for Details: "all references to al Qaeda and all references to CIA warnings before the attack about the terror threat in Benghazi" were removed. * The malfeasance in not providing prior adequate security as requested by Stevens. * The malfeasance in not providing or attempting to provide any support or backup during the 7-hour attack. * The malfeasance in concocting a cover-up story to hide the true nature of the attack from the public and voters. * And the really bad new news: The Obama “Get-The-Facts Commission” did not interview any of the Benghazi survivors nor did they interview Hillary Clinton, the person responsible for Embassy personnel and facilities. Now even staunch Democrats are acknowledging that there is serious malfeasance involved and additional Congressional Hearings by Issa’s-R-Cal Committee is warranted; talk about a sea-change. Undaunted by the truth and the facts was the nasty Colbert Report show. The highlight was the burning vehicles and building of the Benghazi Attack with the punch-line: “how long has this car been burning”; hearty laughter from his audience. Talk about Pathetic people! What a sad state of our major media and their transformation into another Pravda that serves Obama and not “The Truth” nor “The People”. Will Whistle Blowers Be Ritalin For Major Liberal Media’s Benghazi ADD? Was second in command at Benghazi and became diplomat-in-charge upon Ambassador Stevens' murder by Radical Muslim Terrorists. Apparently Hillary Clinton "demoted and sidelined" him as part of the cover-up. The major liberal media have ignored, marginalized and discounted the Libya-Benghazi story of the Obama-Clinton malfeasance and cover-up manufactured to protect Obama’s Reelection. The major liberal media has an enormous stake in their Obama manufactured entity; if Obama looks bad, they look even worse for having established him as their “political rock star” who can do nothing wrong. It would be a major problem for Obama’s Pravda-media to acknowledge that the Obama-Clinton team did the “you don’t know and you don’t want to know” ignorance-game in the middle of a Radical Muslim Terrorist attack upon our people in Benghazi in order to establish “plausible deniability”. It would even be worse to acknowledge that the Obama-Clinton team then concocted a cover-up story “it was the video” to protect Obama’s Reelection theme that Al-Qaeda and company were vanquished and we’re all safe now. 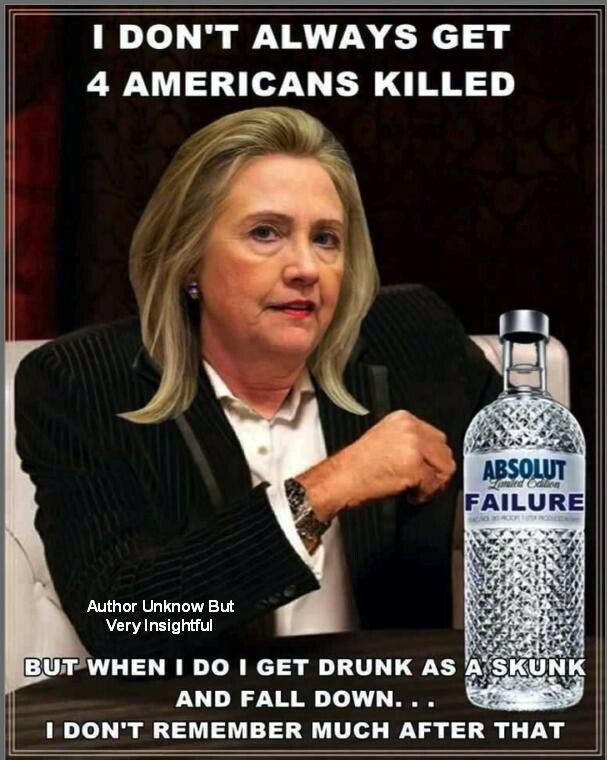 Yesterday’s May 8th 2013 Congressional Benghazi hearing brought into the light the facts presented by three high-level persons personally involved, including the first-assistant to Ambassador Stevens who became his replacement that night. Roanoke Times, 5-8-2013, Pg 5: Gun homicides have dropped steeply in the US according to two studies. Hard to believe the RT actually published this data. This news in the face of major increases in private gun ownership and many states passing laws allowing more concealed carry permits and courts forcing cities like DC to recognize the 2nd Amendment rights of good citizens. The data would look substantially better if we enforced the laws we have and if Obama and his side-kick Rahm Emanuel, mayor of Chicago, would stop the drug and gang wars that are destroying the city and it’s people. Perhaps they could get the Giuliani and Kerik team to come out of retirement; they certainly turned NYC into a much safer place for everyone. Apparently Obama and his Democrat stooges are again ramming a bill through Congress and getting it passed as fast as possible so that "we can read it" and weep afterward! There's much more in the Senate Gun Bill than the "common sense" background check the progressives tried to convey. The "most popular" part of the proposed Senate gun control bill (background checks) sounds like a good idea at first but is more restrictive than anyone anticipated and will have significant unintended consequences. There is a huge push to get it through Congress before the public has a chance to consider its contents. Common activities that we take for granted will become federal crimes. These are not irresponsible exaggerations. Please take a moment to review the requirements of the bill. Loaning your buddy a shotgun for a duck hunting trip will be considered a transfer. If the following requirements are not met, YOU HAVE BOTH COMMITTED A FEDERAL CRIME. 3. He cannot travel with the firearm through a county where season is not yet open or any area where hunting is prohibited and certainly not across a state line. He CANNOT stop by your house on the day before season opens, pick up the shot gun, go to the sporting goods store to buy a license and shells then drive out to the hunting lease. In this scenario, YOU BOTH WOULD HAVE COMMITTED MULTIPLE FEDERAL CRIMES, YOUR WEAPONS WILL BE FORFEITED AND YOU WILL LOSE YOUR RIGHT TO BUY OR OWN A FIREARM. It appears that only you may relocate your weapons. If your weapon leaves your home without you, the new legislation considers it a transfer of possession. ALL transfers require going through a firearms dealer, paying the transfer fee and a background check for the transferee. Putting the weapon, even temporarily in someone else's possession, requires a transfer through a dealer. There is no exception for putting them in a friend's truck while moving to your new house or packing them unloaded, locked in a gun safe into a moving truck. Any scenario in which your weapon leaves your home without you is considered a transfer. Failure to properly transfer the weapon is a federal crime which can result in a prison term AND WILL RESULT IN THE FORFEITURE OF YOUR FIREARM. In the scenario above, your buddy's truck was used to commit a federal crime and WILL BE CONFISCATED just like with current Fish and Game violations. Infractions as above which involve 2 guns of any type are considered weapons trafficking. You will be prosecuted under the same federal laws as a terrorist arms dealer. 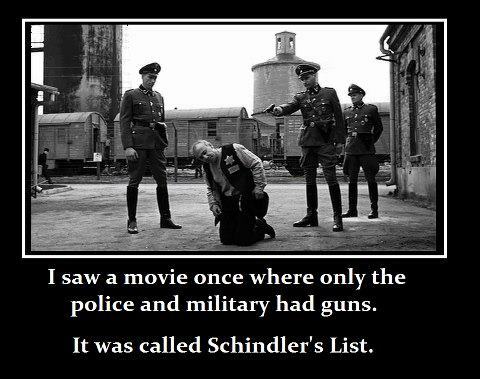 Any of the infractions above (or hundreds of other routine scenarios) may result in federal charges, confiscation of ALL your weapons and being prohibited, like all felons, from ever owning a weapon again. Please read the text of the bill yourself. Most of it is boring legalese A link to the bill is included below on the official Senate website. See Section 122 "Firearms Transfers". Keep in mind, none of the above would have stopped the tragedy's in Columbine or Newtown. The proposed law makes you a criminal and opens the door for confiscation of your weapons and property for otherwise routine activities.